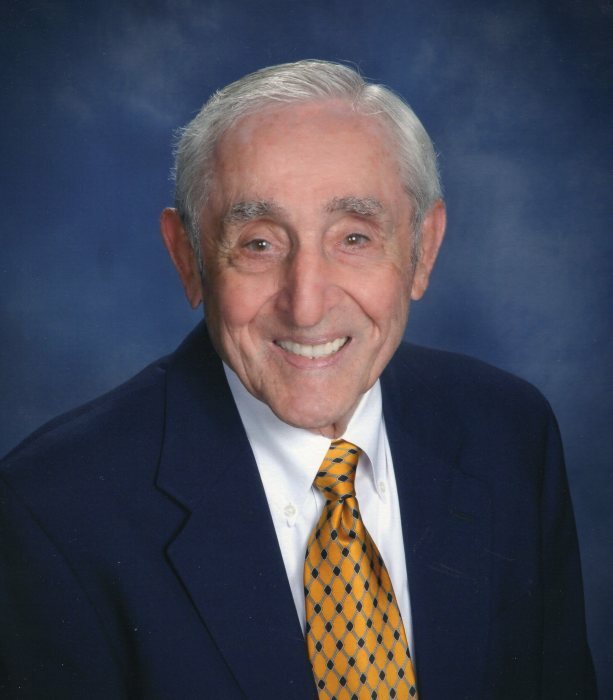 Edward K. Bullock passed away peacefully on January 27, 2019 in Florida. Ed was born on June 28, 1927 in Worcester, MA. Son of John and Hilda Bullock. He leaves behind his wife Olivia Bissell and his sister in law Veola Hayes, his four children, Carol Bullock and her husband David Donnelly of Rye, New York, Edward Bullock, Jr. of Seattle, Joan Miller and her husband Richard of Marblehead, MA, and Larry Bullock and his wife Luz from Montclair, New Jersey. He also leaves his grandchildren whom he adored. Ashley and Chloe Bullock, Edward and Katie Walter, Elizabeth and Emily Miller and Nicholas, Lucas, Sophia, Natalia and Victoria Bullock. Ed also leaves his Bissell family. Ed was predeceased by his first wife Barbara Bullock and his older brother Richard Bullock. Ed served in the Navy and graduated from the University of Massachusetts, as a member of Phi Kappa Phi with a degree in Electrical Engineering as part of the GI bill. Ed loved his work at General Electric in Lynn and Polaroid in Cambridge, Ma. Where he was an innovative engineer and accomplished manager. Ed had many passions in life. He had two happy marriages. Besides his family he was an avid golfer, skier, skater and bridge player. He was very active in both Our Lady Star of the Sea in Marblehead, where he lived for many years and Our Lady Star of the Sea in Ponte Vedra, Florida. Ed thoroughly enjoyed his retirement. His retirement included living for 8 years on Stratton Mountain in Vermont where he served as a Mountain Guide. It also included sixteen years at Sawgrass in Florida where he enjoyed golf and bridge. Wherever Ed lived he was an active community leader and faithful Roman Catholic and he made many friends along the way. Ed was a generous husband, father, grandfather and friend. He had an optimistic nature and wonderful sense of humor that carried him through his life. He will be truly missed by all. A Mass of Christian Burial will be celebrated at 11:30a.m., Friday, Feb. 1, 2019 in Our Lady Star of the Sea Catholic Church of Ponte Vedra Beach, Florida. Interment will be in Marblehead, Ma. At a future date. No flowers.